Hotel Adelaide Zoo is open and ready for guests of the fluffy wombat variety. We’ve had some very special visitors at Adelaide Zoo recently with a wombat pair stopping in for a brief stay before making their way to Longleat Safari Park in the United Kingdom. Southern Hairy-nosed Wombats Deacon and Ellie are jetting off this week after spending some time in quarantine at our Animal Health Centre. 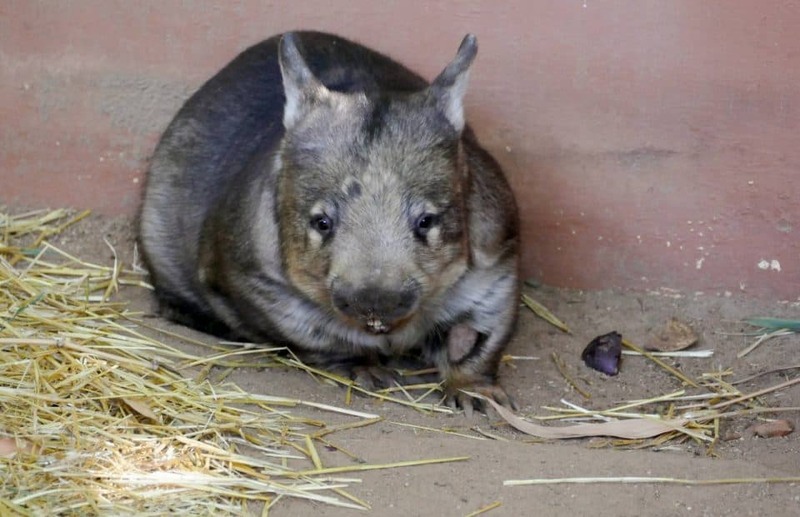 Arriving in early September from an Adelaide Hills wombat rescue facility, Deacon and Ellie are a feisty pair who were quick to let keepers know who was boss! Once they’d gotten used to things, however, they settled in fast and are now enjoying a little bit of R&R before their long haul flight to the United Kingdom. Visitors to Adelaide Zoo have been able to watch the pair as they explore their exhibits near Children’s Zoo. The duo are especially active during meal times and can be seen snacking on hard vegetables like carrots, sweet potato and beetroots, which help to keep their fast-growing teeth under control. The cheeky wombats also love having their treats presented to them in creative ways and have a lot of fun ripping apart paper mache enrichment boxes to reach tasty hay inside. Animal Health Centre staff are pleased to report the gorgeous wombat duo are perfectly healthy and all ready for the big move. Deacon and Ellie have the important job of being ambassadors for their wild cousins and educating overseas audiences about the plight of wombats in their natural habitats. Southern Hairy-nosed Wombats face a number of threats in the wild including habitat destruction, disease and drought. Safe travels, Deacon and Ellie, and good luck in your new home! 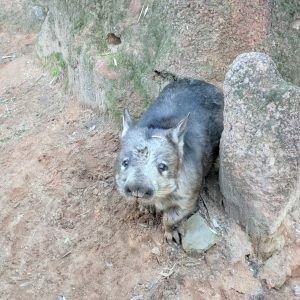 Don’t worry, though – if you love wombats, we’re still home to a gorgeous Southern Hairy-nosed Wombat female called Kibbar and her adorable daughter Harriett. Race in and visit the super cute duo soon!